A fence separates your property from outside intrusion and helps to prevent the loss of a pet or wandering child. Chain link fencing is a popular and effective means of protecting your lawn, pets and family. But chain link does little to provide privacy. A privacy fence lets you have your own little world, even in the middle of a crowded neighborhood. You do not need to remove your existing chain link fence to have privacy. You can add a lattice work trellis to obtain the look and feel that you require. 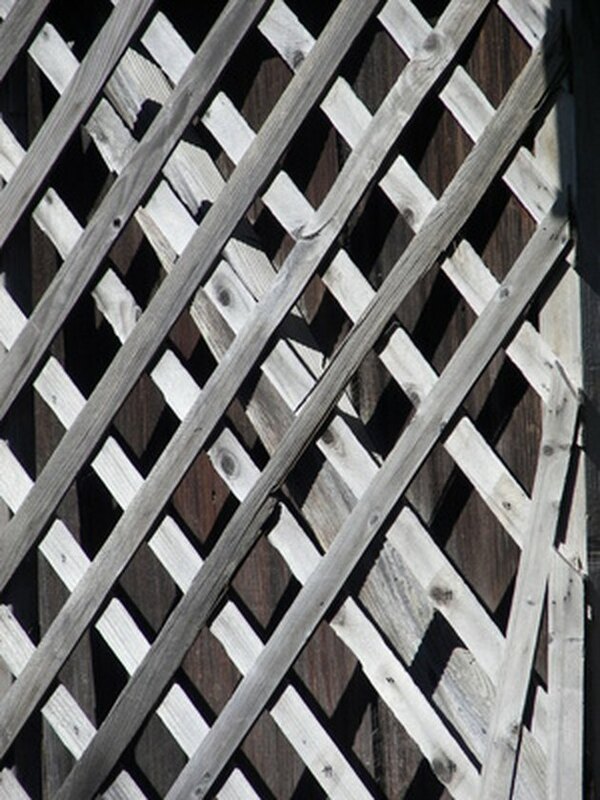 Place a lattice panel against the outside of the fence so that it is 8 feet tall. Lift the panel 3 inches from the ground while holding your tape measure against the ground for accuracy. Fasten the panel to the chain link by wrapping tie wire through the lattice and around the chain link. Tighten and snip the excess wire with your pliers. Hold the second panel next to the first. Maintain the 3 inch gap from the ground. Fasten the lattice to the chain link with tie wire.